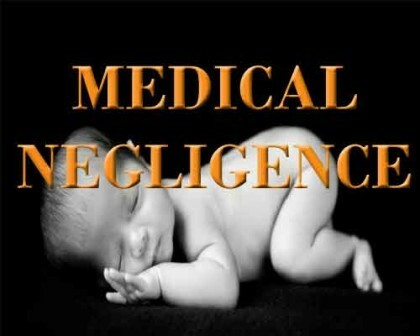 Uttar Pradesh: A shocking case of alleged medical negligence emerged from Agra’s Geeta nursing home in Kasganj in Agra. It has been alleged that eight units of HIV positive blood was transmitted to the patient as well as the patient was left with a sponge and towel in her abdomen after undergoing a caesarean section in December 2015. The deceased gave birth to a still born in what is also now being alleged as a botched C-section. Only recently was the piece of cloth and sponge detected after she complained of actute stomach pain, and was eventually required to undergo tests at Agra’s S N Medical college, She was also found to be HIV Positive during this test. Kamlesh’s (the deceased) husband Prem Kishore implied in his statement that doctors at S N Medical College conducted an ultrasound and found a lump in her abdomen. Only after they conducted the surgery it was discovered that there was a cloth and sponge inside her abdomen. Following which, Prem Kishore lodged a complaint with the Kotwali police station. “Further after probe in the matter, the other sections will be added. Meanwhile, on arresting has been made in the case,” he added.